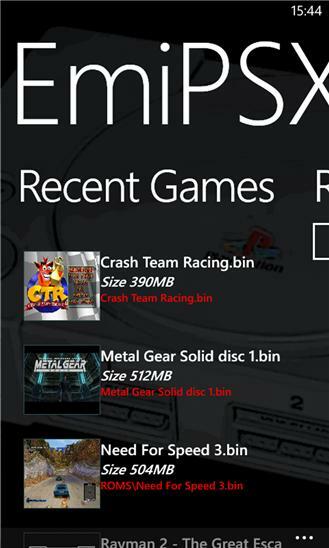 EmiPSX is a PlayStation emulator for Windows Phones! Play again the best games ever, review the fun from you childhood on you phone! EmiPSX need backup copys of your original Play Station CD Roms to work, it does not contains any game and does not condone piracy. Features: Portrait / Landscape gaming. On Screen Controls and Moga Controller Support. Bios Emulation. Support Original Bios to increase compatibility. Multiple Save States and MemoryCard Support. Remark: This app in on early stages of development so the compatibility is not the best and it may contain some bugs. Please report bugs to bug.libpro@gmail.com, feature requests are welcome too. LEGAL: This product is not affiliated with, nor is authorized, approved or licensed in any way by Sony Corporation, its affiliates or subsidiaries. The Play Station game software sold separately. “Play Station” is a registered trademark of Sony Corporation. 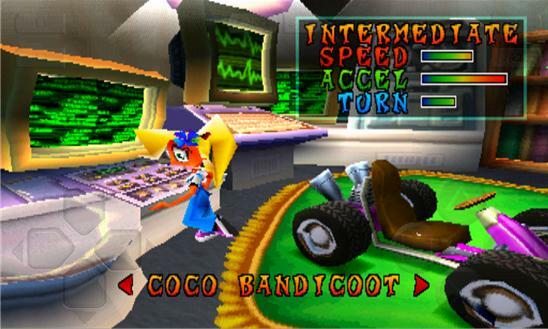 All individual games, screen images or audio simulated by software are property of their respective copyright holders and are only used for the purpose of informing about the functionality of the software. *Support to load old save states. -Due to changes on the core the save states may not load completely( it can Hang or crash the emulator) the compatibility will increase in the next updates.